Colour is also integral to Georgia’s work. Once a children’s book reviewer, broadcaster and author of two parenting books – she and husband Nicholas have four children – Georgia now practises as an energy healer from her house. ‘One of my husband’s favourite jokes is that he comes home and sees beaming men departing and piles of banknotes on the table.’ It’s a good line, although she says that the majority of her clients are actually women, often professionals, bowing under the weight of modern living. Central to Georgia’s healing practice is locating and correcting imbalances in the chakras, the seven energy hubs that run down our spines from crown to base. Each chakra is represented by a colour and associated with different characteristics: mental, physical, emotional and spiritual (see illustration, below). In her new book, The Chakra Project, Georgia explains how she sees our physical bodies as a house, with the energy field around each person as a garden and the chakras as windows. ‘Windows need to be sparkling clean to let in light and air. 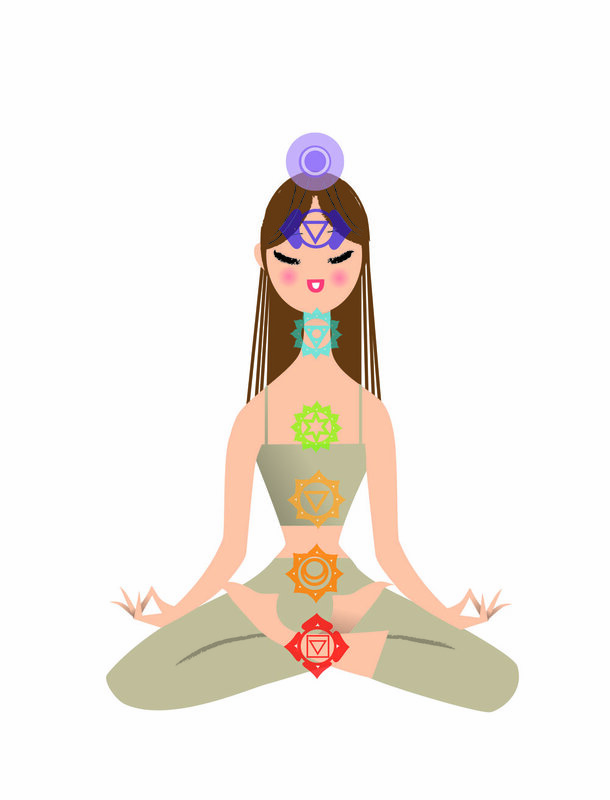 In the same way, our chakras need to be clear and bright so the different energies that make up our life force – the magic stuff that makes everything work – can flow freely through our bodies and minds.’ When energy is stuck, she likens it to a river where leaves, twigs and branches have collected. ‘It may be stagnant on one side and racing too fast on the other. Similarly, a chakra may be under- or overpowered,’ she says. In The Chakra Project, Georgia explains how to detect and rebalance any out-of-kilter chakras. It’s a special book of wisdom and insights and I loved the calm that it brought me. Georgia’s book The Chakra Project is published by Aster/£16.99 - find it here.